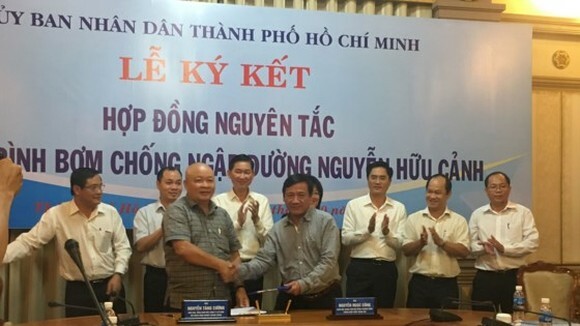 HCMC Steering Center of Urban Flood Control Program and Quang Trung Industry Joint Stock Company yesterday signed a principle contract to hire the company’s smart pumping system to cope with flooding in Nguyen Huu Canh street. 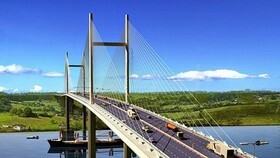 At the signing ceremony, center director Nguyen Ngoc Cong said that after being installed, the system had been tested twice. 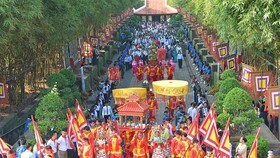 The first time was held on September 21 when the rainfall measured only 20mm which was insufficient to flood the street. So the company opened sluice gates for tidal water to flow into and inundate the street under 50 cm. Mega pumps of the system pumped out water from the street within 15 minutes. On September 30, the tidal level was low but the rainfall was up to 93mm within 40 minutes, equivalent to 150mm within three hours. The center discussed with Quang Trung Company and they agreed with letting the street submerged under 60cm before functioning the pumps. Floodwater was drained out after the system operated for one hour and ten minutes. Some spots were still inundated because of sunken road face. According to Mr. Cong, the testing results showed that the system has worked efficiently and reduced flooding in the street but it still needs an extra of four testing times amid heavy rains combined with high tides to fully estimate the efficiency. 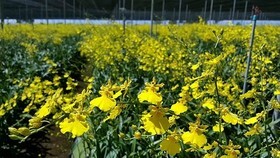 The system is a new technology so there might be errors between laboratory and reality. So Mr. Cong proposed to sign the principle contract to bind the two sides. 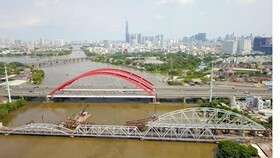 Director of Quang Trung Company Nguyen Tang Cuong said that many residents said that the system took too long to pump out floodwater from Nguyen Huu Canh street on September 30. However, in fact it operated efficiently as the total rainwater volume was up to 100,000 cubic meters. The system’s operation result was relatively satisfactory so the company wanted to transfer the technology for the city and was ready to implement other projects if the city required, said Mr. Cuong. 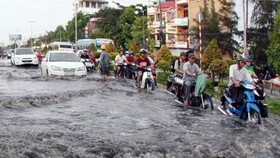 Talking about some garbage blocked up sewers in the street, Mr. Cuong said responsibility belonged to HCMC’s agencies. Moreover, the company has installed some sewer routes to connect with the existing system in the street while investing in the pumping system. 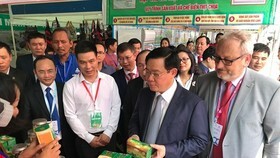 Stating at the ceremony, deputy chairman of the city People’s Committee Tran Vinh Tuyen said that the city has proposed the steering center to sign the principle contract with Quang Trung Company and that aimed to record initial results of the pumping system in tackling flooding in Nguyen Huu Canh street. Mr. Tuyen assigned the Steering Center of Urban Flood Control Program to hire consulting firms to build a process to check and take over the pumping system, exactly estimate the efficiency of the project and determine rent level. 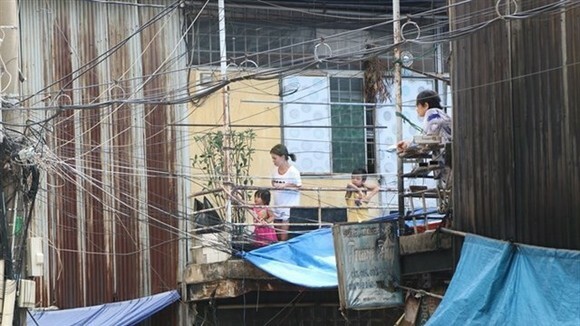 The pumping system is a temporary but urgent solution to tackle flooding in Nguyen Huu Canh street. In long term, the city will invest in the drainage system and upgrade the road face in the area, he added. 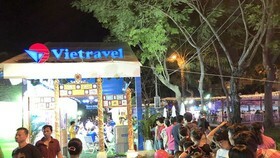 He required Quang Trung Company to complete the design above the pumping system to return surrounding precinct for residents, assigned HCMC Urban Environment Company to handle garbage collected from the system and build sewers to synchronously connect with the system. He assigned the steering center to survey other flooded areas in the city to expand implementation of the pumping system model.